Our manned guards offer the ideal solution to protect your property, people and posessions in Peterborough. Also known as static guarding, Nationwide's manned guards provide a highly visible security presence to deter potential thieves and vandals. Aware that in their role they represent your business, the guards will demonstrate professionalism and experience in all customer facing positions. Nationwide Security's static guard services provide smartly uniformed manned guards in Peterborough, who are SIA registered and SITO trained. Our highly trained private security officers in Peterborough can provide you with the much needed peace of mind that your building, contents and people will be safe and secure at all times. We can provide retail security officers in Peterborough, effective in carrying out their duties to a high, professional standard. All security officers have had thorough background checks conducted to ensure our security standards are maintained and perfectly suited to represent your Peterborough based firm. Security guards are one of the most effective and visible ways of protecting your people and property. We can provide you with security guards for any length of contract, including the ability to send you guards at extremely short notice, when required. Our smartly uniformed security guards are fully trained, experienced and prepared to secure all premises and sites in the Peterborough area. With years of experience in the industry, Nationwide Security Services provide you with only the most experienced personnel. Whether you need your venue's car park to be secure and well organised, or the car park of a Peterborough office block to be safe for your staff and their vehicles, our highly trained car park security team at Nationwide Security are here to help. We are in the ideal position to offer you a tailor made solution, including the provision of gatehouse security services which limit access to your premises. As part of their duties, our staff can keep exact and detailed accounts of any visitors to your premises, helpful or sometimes necessary as part of your security regulations. For managed, supervised and competent car park security in Peterborough, contact Nationwide Security Services for a no-obligation quotation today. Our Peterborough based door supervisors, or bouncers, are among the most highly respected doormen and doorwomen in the industry. We have years of experience in providing door supervision for venues in Peterborough - from nightclubs and pubs to private parties and large public events. Controlling access to your premises and carrying out age checks to make sure your business operates within the law, our Peterborough door supervisors provide notable benefits to your company, upholding codes of conduct and assisting your customers in having a safe but enjoyable evening. Fully trained and experienced in dealing with all manner of situations, including difficult, or violent offenders, Nationwide Security can be relied on for maximum effect and minimal disruption. Here at Nationwide Security Services, we have built a sturdy reputation as specialists in insolvency security for Peterborough. Securing assets, preventing hostility and protecting the property, our agents can be in Peterborough quickly, performing their duties conscientiously at the difficult time of liquidation. If you are an insolvency practitioner in Peterborough, in need of professional insolvency security, contact Nationwide Security Services for a no-obligation consultation today. Our mobile security patrols in Peterborough provide you an out-of-hours patrol scheme for your property at random and unarranged times. Our teams perform full external and, if required, full internal checks of your Peterborough based premises in out of office hours, providing an effective and visible deterrent to intruders. Mobile security patrols are performed both on foot and in vehicles to ensure that every section of your site in Peterborough is fully inspected. During each mobile security patrol our personnel will complete in-depth reports to evidence their visit to your Peterborough premises and assure you a quality service is being delivered. Nationwide Security Services provide immediate alarm response services in Peterborough, giving you peace of mind that disturbances will be investigated and responded to promptly and thoroughly. As part of our alarm response services, it is routine to perform verification checks, to identify any issues or false alarms, whilst simultaneously preparing to dispatch our response team. Perfect for department stores and large buildings, Nationwide's alarm response services liaise (when necessary) with the police and fire service of Peterborough for the upmost in client satisfaction. Our professional keyholding services in Peterborough is on call 24 hours a day, 365 days a year, and allows our team to attend to possible intruder, fire or CCTV alarms at your premises in Peterborough during the night, on your behalf. All keys and codes protected under our keyholding services are sealed and signed for, locked securely in undisclosed safes. We only ever use a key or code to attend your premises in an emergency, ensuring you complete peace of mind about using our keyholding services for your Peterborough premises. Nationwide Security provide an excellent level of event security to suit all Peterborough shows and venues - including festivals and sports events. All event security stewards serving the Peterborough area are trained to the highest standard and SIA licensed to ensure they are vigilant, react to situations appropriately and deal with the consequences swiftly. Our flexible solutions seek to ensure sure you receive the best event security possible, tailored to your individual needs. Stewards will patrol your venue wearing high visibility clothing to ensure they can be easily identified and have maximum impact on potentially disruptive patrons.With years of experience in the field, you can rely on Nationwide Security stewards to monitor, protect and above all, ensure a great and safe night for your patrons. 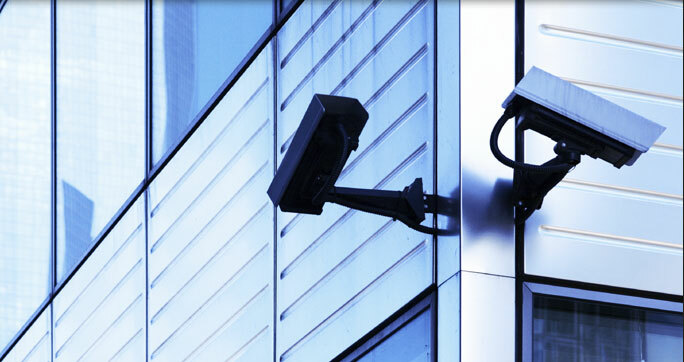 Our experience in intruder alarm systems means we now provide tailor made CCTV security cameras and intruder alarms systems, specific to your domestic or commercial property in Peterborough. We offer a huge range of intruder alarms systems, including the top branded models, to ensure optimum security for your home or business. The security setup is installed by a team who have been fitting and servicing intruder alarms systems and CCTV security cameras for several years. This has allowed Nationwide Security to build up an excellent reputation as the people to call when you want a new or upgraded intruder alarms system in Peterborough.